Stir together flour, sugar, baking powder and salt. Toss in 1 cup Asiago Cheese and pepperoni to coat. Stir beer in just until mixed. Spread in 11x7" pan sprayed with non-stick cooking spray. Bake in 350 degree oven 30 minutes (check 5 minutes earlier to see if done), remove from oven and top with remaining Asiago Cheese. Return to oven 2 to 4 minutes until melted. Enjoy!!! 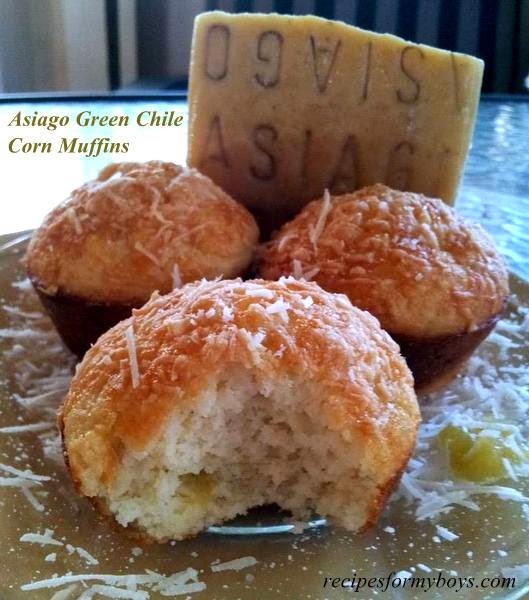 Asiago Green Chile Corn Muffins.